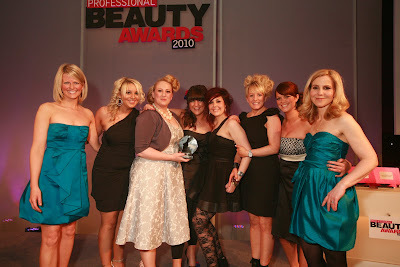 This week has been phenomenal for us!Professional Beautys Best Small Beauty Salon and Best Small Employer 2010 awards!! Well done to all the OMG team and thanks clients, for being so loyal and supportive! Check out this video to catchh up on the latest fashion trends for spring 2010. OMG did the hair and makeup!! Its a week of preparations at OMG this week! Nails, hair, tans, waxing, you name it. And dont even ask about what to wear!!! We are so excited to announce that we are in the Finals for 2 categories! Best Small Beauty Salon and Best Employer. We are in the final 6 across the country - a phenomenal achievement! This is classed as the Oscars for the beauty world - so COME ON OMG!!!! !